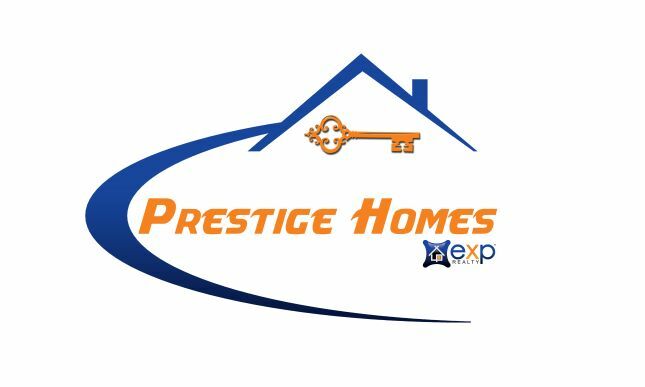 Prestige Homes Team is a talented group of Real Estate Professionals dedicated to delivering the highest level of service to their clients and community. Prestige Homes was founded by Ed Coulbourn and through exceptional service over the years has continually expanded their ability to provide even better service and build even stronger relationships with their clients! Ed is a successful entrepreneur who’s been in real estate for 14 years. He has consistently performed at a high level, always building meaningful relationships with everyone he comes in contact with. Through personal hands-on experience & time in the industry, Ed specializes in helping buyers & sellers reach their goals while providing a great experience. By operating with a team of experts, our clients get the advantage of working with the very best every step of the way. As a renowned BBQ pit master, Ed has traveled the country winning awards at BBQ & rib festivals in the early 2000's. He was even featured on the Travel Chanel’s hit show Trip Flip in 2015! Ed is a family man who spends as much time as possible with his wife Frances, 3 young kids: Emma, Hannah, & Ed the 4th, and their lab Duchess and cat Gabby. After my initial phone conversation with Ed, I knew he was the realtor for us! Ed's knowledge and expertise helped ease the stress of our move from the DC area to Wilmington. Always available, great negotiator, very personable.....Ed is the guy for your home buying/selling needs in his area! I wish there was a "Beyond Excellent" rating because I would definitely have chosen that to describe my experience with Ed. From the first phone call, to the first home visit, to the closing, I felt like I couldn't have been in better hands. He explained everything completely, offered suggestions and made us feel special. Oh, did I mention that the time between our first showing and being under contract was only 36 hours? AMAZING! Ed's excitement and enthusiasm are contagious! I wish I had more homes that I needed to sell. Ed would be the only agent I would work with! Ed was so helpful on my first home buying experience. Any questions I had about buying a house ed was able to answer for me. Would definitely use him again if I ever decide to purchase another home! Our experience with Ed Coulbourn was one of complete satisfaction. I had to leave the state before our sale was finalized and I never had any worries about Ed handling the entire process. I never expected this level of service from a real estate agent. Ed always made us feel like we were his only client. My husband and I were in the process of buying our first home several months ago, and Ed made sure to make the process go as smoothly as it could. We are now in the home of our dreams because he made us wait to put an offer in on another home, after the one we are in now had just came on the market. We were attempting to sell a beautiful house on the ICWW and had not had even one first offer from using 5 other realtors off and on over a period of 8+ years. We were seriously "underwater" thanks to real estate crash in 2008-2009. We listed as a Short Sale with Ed and had 2 offers soon after; one of which was renegotiated in our favor by Ed and eventually closed. He was with us every step of the way, helped us with difficult, complicated paperwork and encouraged us. We had to be out of town when the final sale was being culminated and he was always available to guide us - via email or telephone. We've never dealt with such a dedicated, honest and caring realtor (and both of us have held licenses as real estate brokers in the past). He was the same way in handling another sale with a lower priced house. We recommend Ed Coulbourn highly and will use him again. The process of purchasing a home was an enjoyable experience from beginning to end because of our realtor, Ed Coulbourn. From being available when we needed him, communicating efficiently and quickly with the sellers agents, negotiating to get the best price possible, providing all the required paperwork, and lining up all the inspections and other appointments, Ed Coulbourn is hands down simply the best realtor we know. We don't intend to leave our beautiful home any time soon, but if and when we do, we will definitely use Ed Coulbourn again as our realtor. Our family had the daunting task of selling and buying a home during the most active real estate quarter in recent history. A big shout out to Ed Coulbourn and the Gasparovic Group. Our house was under contract in a couple of weeks and we found the home of our dreams. Ed was diligent and honest. Always working for us. Thanks again from the McCall family.